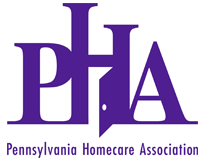 There are two managed care programs in Pennsylvania that provide home health, hospice and homecare services to Medicaid recipients: HealthChoices, which was implemented in 1997, and Community HealthChoices (CHC), which will be implemented in phases beginning in January 2018. Click here for a guide from the Department of Human Services to help understand the similarities and differences between the programs. CHC will replace the state’s Medicaid waiver programs for individuals age 21 and older and seniors who need long-term care. This care will be coordinated by CHC managed care organizations (CHC-MCOs) in five zones across the state. Implementation will begin in the Southwest Zone on Jan. 1, 2018, move to the Southeast Zone on Jan. 1, 2019 and complete statewide implementation on Jan. 1, 2020. The Wolf Administration developed CHC in 2015 with the goal to (1) enhance access to and improve coordination of medical care and; (2) create a person-driven, long-term support system in which people have choice, control, and access to a full array of quality services that provide independence, health, and quality of life. January 16, 2019: PHA was recently alerted to an issue with providers entering information in the HHAeXchange portal related to caregivers’ vaccinations for MMR or influenza. PHA confirmed that these vaccines are not required by either OLTL or the Department of Health. HHAeXchange representatives explained that these fields may be left blank without impacting the ability to submit claims to the MCOs. If these items are skipped, a caregiver compliance “hold” may appear but it will not actually prevent claims submission. The billing process should finish and export to the MCOs as usual. PHA also learned that this feature only appears for Enterprise portal users—those that have purchased the full HHAeXchange software system, not just the free system available through the MCOs. The company is working on potential avenues to delete these items from the software. AR=Participant/family refused or unavailable: Has this been a reoccurring problem with the participant or family? What is the reason the service is being refused? Are follow up actions necessary and/or being taken? HU=Hospitalization unplanned: Were there missed home health skilled care, home health aide services and/or personal assistance services that impacted the unplanned hospitalization? UN=Agency unable to staff: Why were the services not provided? Was a backup plan initiated? If a backup plan was initiated, what was it? What did the agency do to address the missed service to ensure the participant was not at risk? Click here to view the Capturing Missed Visits training webinar user training webinar. December 3, 2018: Following the six-month continuity of care period for the southwestern zone, CHC-MCOs have begun making changes to their network of service coordination entities. Service coordination is viewed as an administrative function of the MCO, not a unique provider service as it was in the waiver programs. Affected participants have been individually notified by letter and asked to choose another entity or a coordinator that works directly for the MCO. Click here to view the most recent list of service coordination entities that have been impacted in the southwest zone. As a reminder, the service coordination entities in the southeast zone must remain in network until at least July 1, 2019. NOTE: Homecare agencies are allowed to offer transportation to non-medical appointments without needing to go through the CHC-MCO. Although agencies cannot specifically bill for transportation services or mileage, they are able to bill for personal assistance services (PAS) for the time a worker spends driving and accompanying a consumer on these types of outings when it appears on the individual's service plan.